The Bahraini authorities should immediately ensure that the President of Bahrain Center for Human Rights (BCHR), Nabeel Rajab, whose health is deteriorating has immediate access to his family and lawyers. His family reported that they have not been able to communicate with him since last week. BCHR is highly concerned over its President’s mental and physical health as Rajab has been held in pre-trial detention for over a year now, which has taken a grave toll on his health. 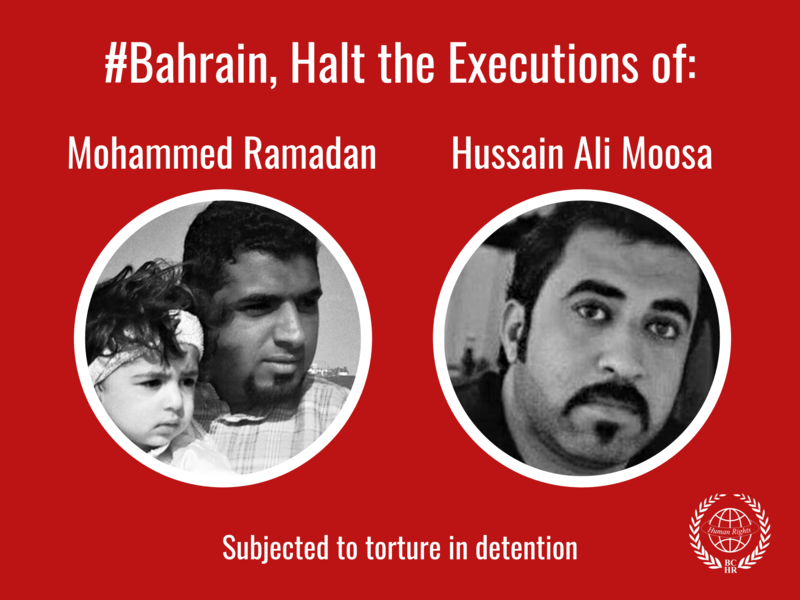 BCHR reiterates its call on the Bahraini authorities to release him on humanitarian grounds. Rajab’s health condition has steadily worsened during his lengthy detention; on 5 April he underwent surgery for bleeding ulcers. In that instance, he was allowed a minimum time in the medical facility before he was sent back to his prison cell. Due to the unhygienic detention conditions, Rajab developed a post-surgery infection and was rushed back to the Ministry of Interior hospital three days later. He has been slowly recovering ever since. Recently, however, his family reported that Rajab was facing harassment in the hospital and new orders to be transferred back to prison so he can be sentenced. It is unclear exactly what his health condition is at the moment as no calls or news of his condition have been released for the past week. 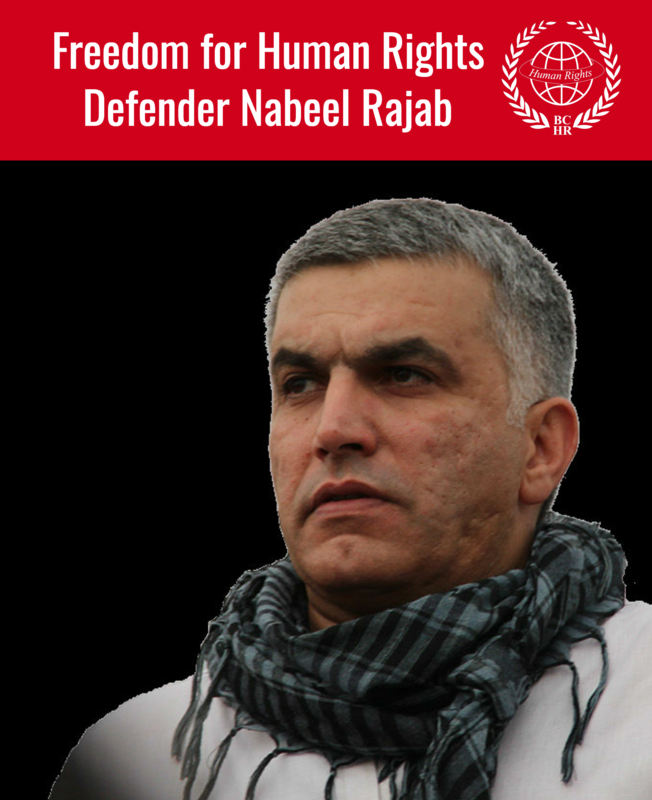 As no information is known, the concern of BCHR is that Nabeel Rajab is unfit to be released from hospital and his health may suffer again if he is send back too soon. 16 June 2017 marked one year in pre-trial detention based on charges related to tweets and re-tweets related to allegations of torture among political inmates in Bahrain’s Jau prison, and on charges based on his interviews with the foreign press. The trial related to the press interviews was postponed from 12 to 13, and yet again to 14 June, the same date he was scheduled for his trial on tweets and re-tweets. On 14 June, his lawyers walked out of the trial in protest of Rajab’s absence in the Court. The trials have been postponed to 2 July and to 7 August. Members of the European Parliament, human rights groups and media have expressed public outcries at his incarceration, and the UN Special Rapporteur on Freedom of Expression, David Kaye, called for his release from prison at the 35th UN Human Rights Council in Geneva.